Forget about the Power 5; dominate the Mountain West. Perhaps the most sage observation to surface in the Review-Journal’s five-part series on the state of UNLV athletics last week came from Jim Livengood, who ran the school’s athletic department for more than three years ending in 2013. Rather than chase fool’s gold by preening for a Power Five conference to come courting, Mr. Livengood argues, UNLV should direct its energies toward becoming a force in its own smaller universe. UNLV athletic director Desiree Reed-Francois explains on the opposite page that the school is striving to build a foundation for success built upon core values and respect for its student-athletes. At the forefront of such an effort will be coaches with the leadership skills and integrity to build character and honor in young men and women. In this day and age of instant gratification, stability too often gets short shrift in sports. But it’s vital to long-term success on and off the field. It’s no secret that UNLV’s two most high-profile sports — men’s basketball and football — have struggled recently. The Runnin’ Rebels, a juggernaut for nearly two decades and national champions in 1990, haven’t won an NCAA Tournament game since 2008. The football program has been in a state of mediocrity and rebuilding for nearly 40 years. 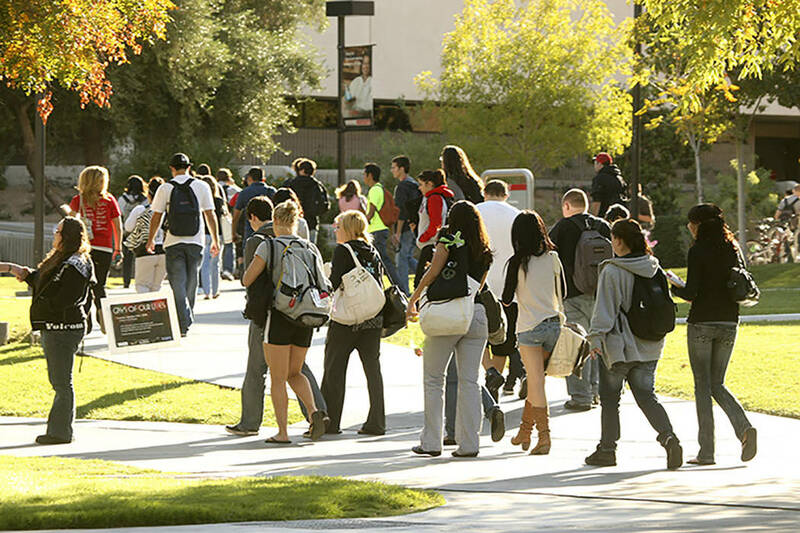 But other schools similar to UNLV have overcome equivalent challenges. Look at Houston, Boise State or Cincinnati. And look no farther than Reno, where UNR has been consistently competitive on both the gridiron and the court. There are, in fact, some positive signs for UNLV. A new football stadium closer to campus will potentially generate enthusiasm among the student body and locals alike. The school has made improvements in fundraising. Growth and the region’s evolving demographics ensure that Southern Nevada will continue to become a more fertile recruiting ground. Ultimately, however, UNLV must hone in on attainable goals to beef up the lagging numbers in the win column. That might entail taking it one step at a time and first focusing on ensuring its marquee programs contend year in and year out for Mountain West titles. Everything else will follow.